He hardly spoke a word to anyone that night. That’s the first thing I remember. 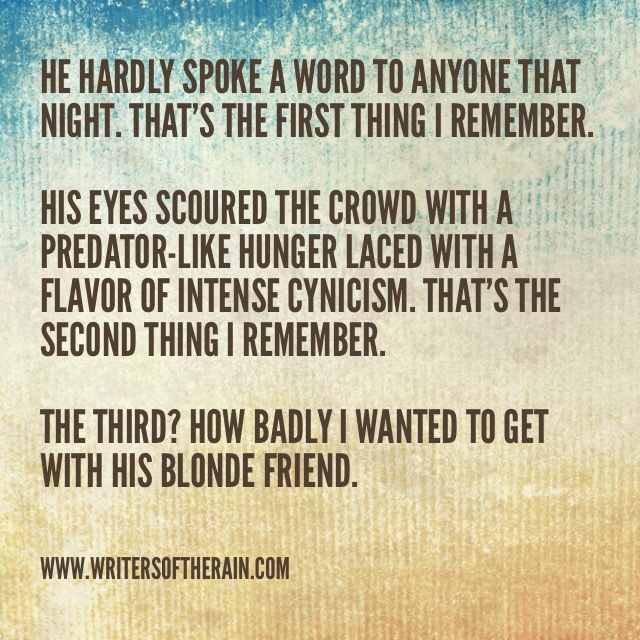 His eyes scoured the crowd with a predator like hunger laced with a flavor of intense cynicism. That’s the second thing. The third? How badly I wanted to get with his blonde friend.